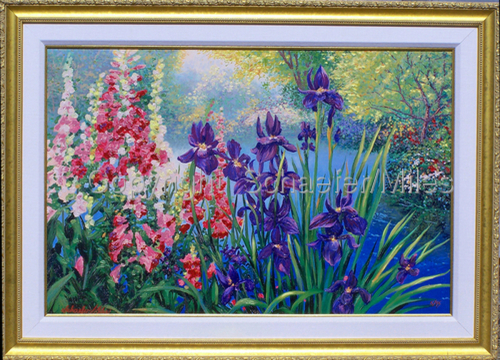 Faith's Garden is Giclee on Canvas embellished in oil by the artists. It is from an original oil painting that was commissioned by a family friend. This giclee measures 36 x 24 and comes with a white linen liner and a gold frame to make the outside dimension 43 x 31 It is signed and numbered 5/95 AP Shipping is included in the United States. Returns are accepted within 7 days the customer pays for return shipping.